Gilmo (call name 'Kroc') is a dominant and serious dog with rock solid nerves. He is a methodical concentrated tracker and his food drive is insane: He would heel the entire IPO obedience routine in hopes of one piece of kibble. His obedience is quick, intense and flashy. In protection, he shows a lot of natural aggression and his grips are like no other. Any helper (IPO) or decoy (PSA) is impressed with his monster/crushing grips. He is very respected by every decoy who has worked him. In 2017, Gilmo qualified to be part of team USA to represent his country at the IPO world championship (WUSV). He is also the 2018 PSA1 National Champion! Scores earned with the highest distinction. So far, Gilmo’s progeny have shown excellent nerve and health. The ones that have been radiographed look excellent in both hips and elbows, no TV. Gilmo is the son of Ängsbacken’s Rosso, 2007 WUSV Champion with scores of 100-97-97. Also, a very strong bloodline to improve H/E. 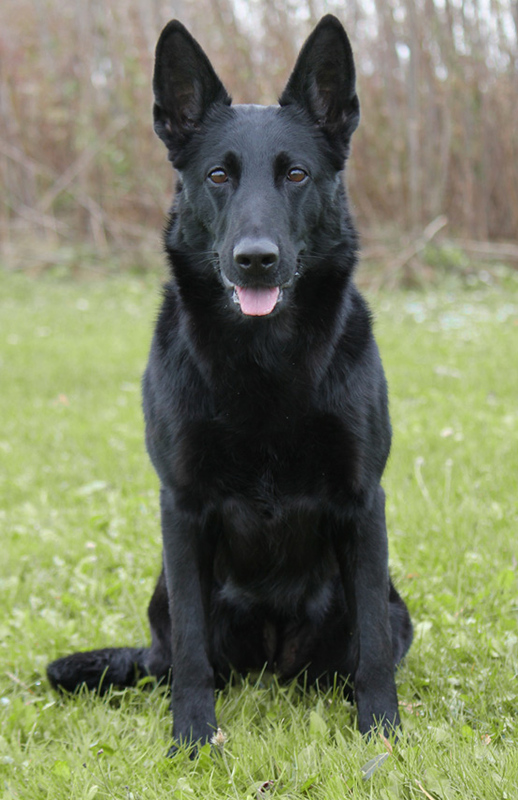 Both Caro van Brandevoort (Witch’s sire) and Ängsbacken’s Rosso (Gilmo’s sire) have produced many police dogs. 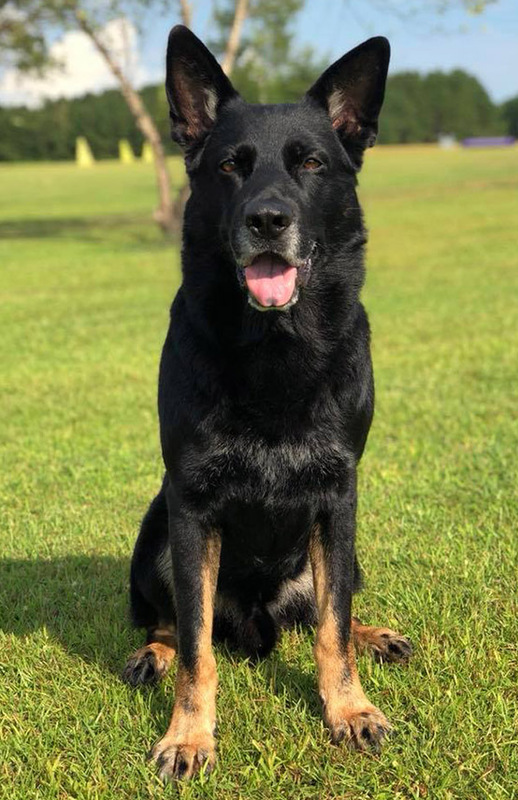 Gilmo’s owner and trainer, Theresa Currier, said that if she ever has the chance to own another dog even half of Gilmo’s caliber, she will be lucky: he is truly a once in a lifetime dog. Expecting short coats bicolors and solid blacks. (Gilmo carries the solid black recessive gene). This is a very special breeding from which I plan on keeping the pick female puppy. Gilmo was born in the Czech Republic and lives in South Carolina, USA.